White Pine logs waiting to be sent to the flume. Decked logs waiting to be send down the river to the mill. Logs were cut during the winter months. 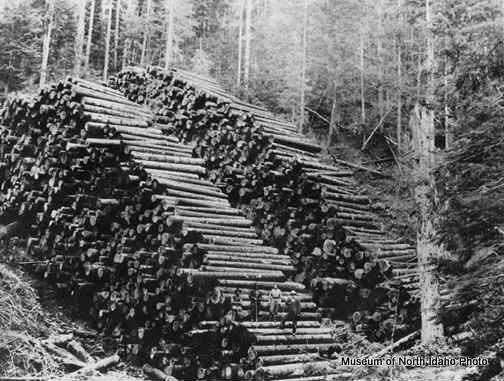 In the spring when creeks and rivers were swollen with melting snow the logs were sent downstream to a larger river or lake where they would be towed to a mill. Courtesy of the Museum of North Idaho.